Foto de stock - USA China technology war and market conflict. Economic trade war concept. 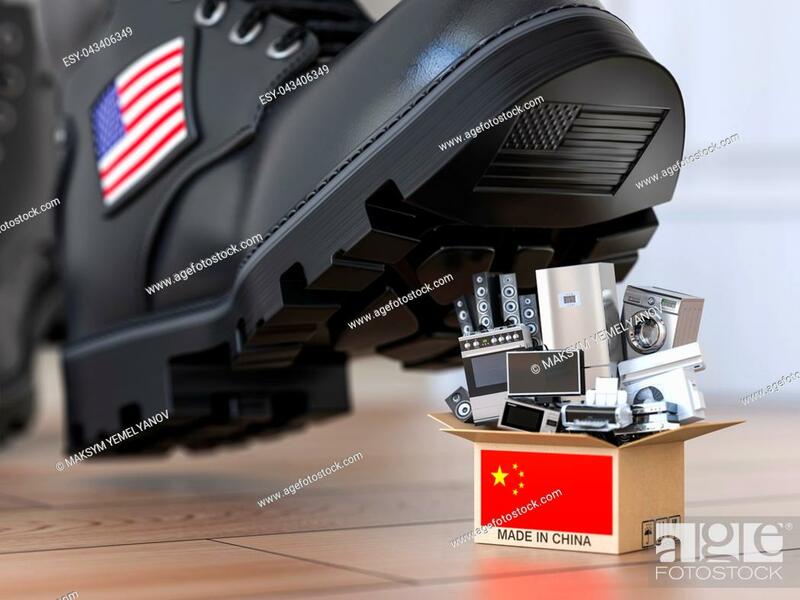 Cardbox with appliance made in China and american military boot above it. 3d illustration.